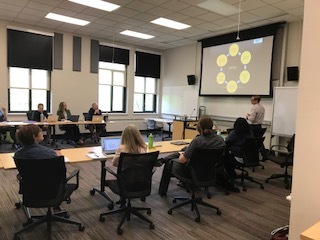 On May 22, 23, 24, Study of Early Literacy teachers presented their year long action research projects around an aspect of their early literacy instruction aligned to the Essential Instructional Practices in Early Literacy. SOEL impacts teacher motivation and engagement in improving literacy instructional practices. You can see all teacher presentations HERE and view snapshots of many in the video below. All SOEL teachers and their colleagues should be proud of the work SOEL teachers have done and presented this year! If you are interested in joining SOEL, attend SOEL SI August 1, 2, 3! Inquiry into Disciplinary Literacy and Learning teachers and guests spent the day on May 16 digging deeper into disciplinary literacy practices in social studies, science, math and ELA. IDLL will continue work next year by aligning current lesson plans and building new units specific to disciplinary literacy. If you are interested in joining IDLL, come to our summer institute! The Study of Early Literacy, cohort 3, has a focus on writing instruction, Essential #6 of the K-3 Essential Instructional Practices in Early Literacy. 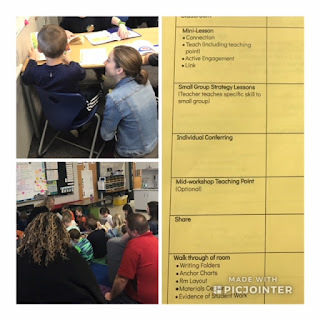 Our April meeting was spent on Learning Walks in SOEL classrooms, specifically looking at Writer's Workshop. Thanks to SOEL member Jennifer Miller for hosting our day! Literacy Learning Opportunities for All! I'm happy to answer any questions about Literacy Professional Learning!